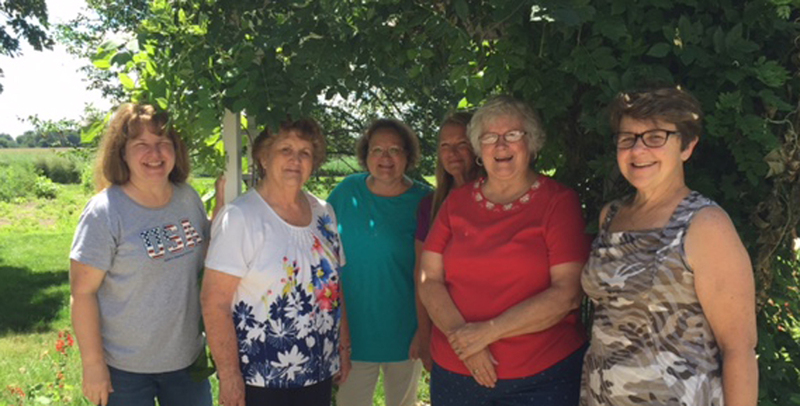 The heart of Taylor & Coultas are the ladies who do our sewing. They care so much about the items that they are stitching for each order! Sandy began working for us in 1992. Many of you will remember Sandy as she has also worked in the office answering the phones. She has enjoyed the luxury of working from home, being able to spend time with friends and family and be productive at the same time. Sandy learned while working for Taylor & Coultas on a " trade show vacation" that she could sleep on a concrete floor with a pillow and a tree skirt and wake refreshed! (I have photos to prove this.) She noted that it was the most exhausting vacation she had ever taken!! She met so many people and put faces with people she had only spoken with on the phone. 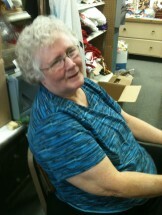 Betty began in about 1986 working with her mother who was our first seamstress. 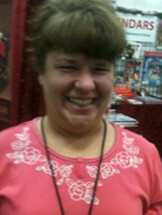 Betty is very glad that so many people are interested in purchasing American Made items. Betty enjoyed traveling to the Atlanta show with me. She enjoyed the World of Coke and Underground Atlanta, our plane flight and seeing major flooding in our area. 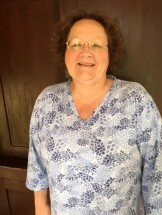 Laurel began working with us in 1990. She is the mother of 6 children and I often feel as though I am the 7th. She says I am a joy to work for (?) and she enjoys the creative part of sewing. Her most memorable experience with Taylor & Coultas was the HUGE cockroach that ran across her arm at a restaurant in New York City as she traveled with me to the show! We got free dessert that night! Barb learned about Taylor & Coultas in the late 1980's while I was doing an outside show in St Charles, MO. That was a long time ago!! No more outdoor shows for us!! She began cutting for us in 1989. 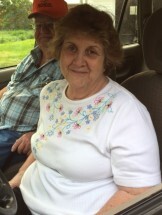 Barb is one of the most gentle kind people that I have ever met. 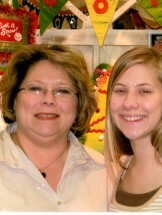 What a calming influence as she did our sample cutting for years at the office. She is happy to be able to work from home and says her job is addictive! She has fond memories of the New York Show also, including the Broadway show Ragtime and Chinese food! Marla learned about us from other ladies who where stitching for us in 1993. She also likes to be able to stay at home and work. 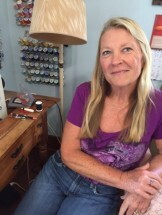 She has also worked inside the office as our sample seamstress. Marla says she would much rather be at her machine. Sewing is what she does best. When she was at the office she did not enjoy answering the phone! She told of all the things that she did wrong but I have to say I never noticed!! One of my saddest memories was a Saturday that she called me at home. The only reason the girls ever called on Saturday was their machine had broken. Not this time. It was so sad. Her husband had died. We all have special people in our lives but I have sooooo many. This is what Sandy wrote about my dear friends in Atlanta that put up with me and anyone whose is along two times a year. The best was walking into our host family's house. The Britt's were so welcoming! I was scared to be intruding in a stranger's house. But, when I saw Debbie start going through the kitchen drawers and cabinets to help set the table for dinner, I found myself calm down and pitch in. The Taylor & Coultas family is large and scattered everywhere. It is like visiting my immediate family! Lynn began as a temp when she was homeschooling her children. What a BLESSING THE WHOLE FAMILY HAS BEEN TO ME!